Tom Steve is general manager of Alberta's wheat and barley commissions. To quote fictional anchorman Ron Burgundy, what Tom Steve is currently working on is — in wheat circles — kind of a big deal. If it comes to fruition, it could serve to rock the very foundations of western Canadian agriculture and change the way farmers think about cereals. Steve, general manager of both the Alberta Wheat Commission and Alberta Barley Commission, is at the forefront of an effort to create value in wheat, to make it a more profitable crop and get the private sector as interested in wheat as it is in big-money crops like soybeans and canola. Steve is co-chair of the Value Creation Working Group, tasked by the Grains Round Table to come up with a way to stimulate investment in cereal breeding. Steve and fellow working group co-chair Erin Armstrong — director of industry and regulatory affairs for Canterra Seeds — have come up with two models that are becoming a huge topic of conversation among growers and within the seed industry. At the same time, Steve is once again proving why he’s a person of influence who isn’t afraid to stand in front of a room of farmers and explain why the funding model for wheat variety development needs to change. “The system we have today is predominantly funded by producer and public money. That in itself is a risk,” Steve says in the frank, no-nonsense tone of voice he’s become known for — a voice that comes from having started his career in the 1970s as a broadcast journalist (serving as director of communications to the premier of Saskatchewan and as cabinet press secretary). He entered the ag industry in the late 1990s working in the grain sector. The idea hasn’t come without controversy, he acknowledges. Changing financial and organizational models that have been long relied upon has become second nature for the 61-year-old Steve. 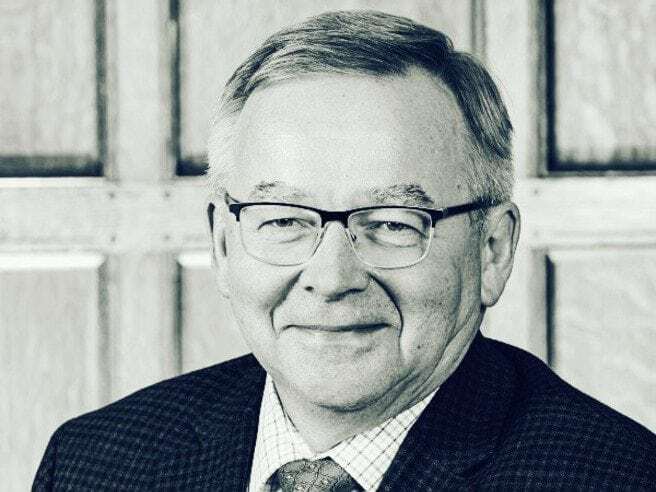 As general manager of both the Alberta wheat and barley commissions, he’s working toward the integration of both organizations’ respective management teams. “Merging management teams is somewhat ground-breaking in Alberta in terms of having two major commodity groups under one umbrella. In the past we’ve tended to have single commissions for each of the crops individually. We’re doing something new and are really excited about it,” he says.